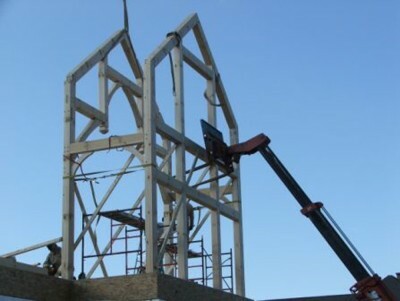 Hearthstone NC provides full Timber Frame and SIP Home subcontract services. We work with home owners, builders and architects to create the Timber Frame or SIP home package ideal for each client. Our services include full working drawings and dry-in erection services, including crane rental, and unmatched quality. HearthStone has a full service design staff and provides full construction drawings for all of the homes they produce. We have developed a great respect for the design and technical expertise of the HearthStone Homes design and management team. We are very familiar with the log and timber frame industry and believe in HearthStone's motto: "The World's Finest Log & Timber Frame Homes" Please visit other sections of our website for more information about HearthStone. See more Photos of Hearthstone Homes. 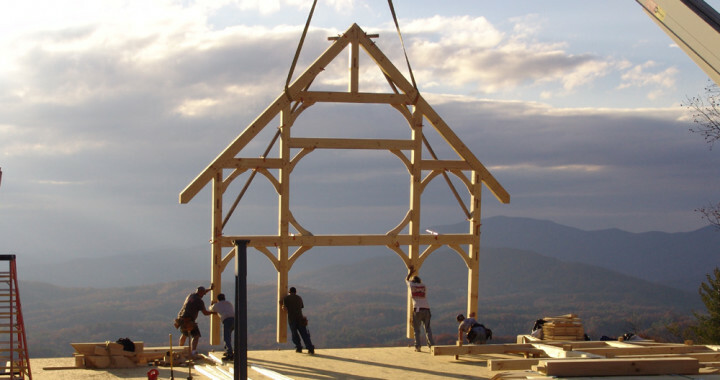 Hearthstone of Boone are based in Boone, North Carolina specializing in Timber Frame, Log and SIP subcontract services. We are happy to work with your architect and General Contractor to provide your home package and trained erection crew service. We provide services in Western North Carolina and East Tennessee, including Lake James, Watauga Lake, Lake Hickory, Lake Norman, Asheville, Black Mountain, Charlotte, West Jefferson and beyond. ← Why Should I Seal My Crawl Space?